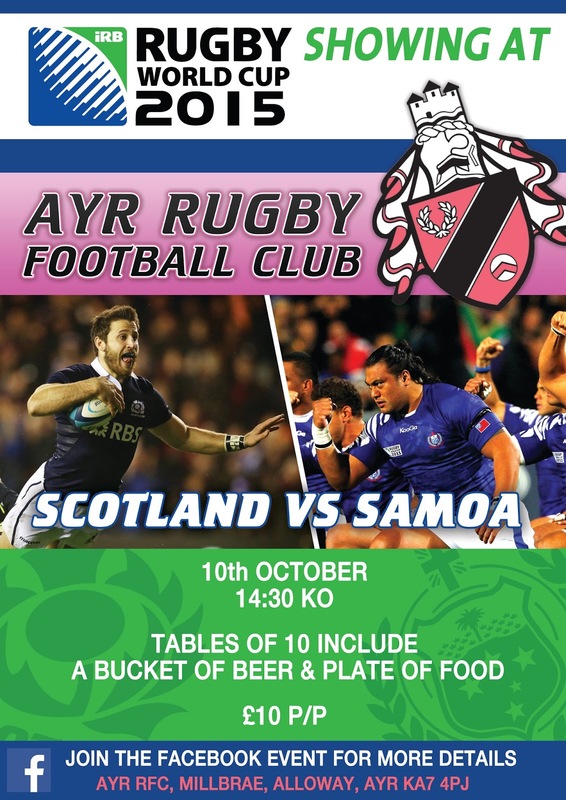 Ayr Rugby Club - Watch Scotland v Samoa at Millbrae! Millbrae is the perfect place to watch Scotland's Rugby World Cup match against Samoa if you haven't been lucky enough to get tickets to go in person. For Â£10 per person, you can a bucket of beer and a plate of food and there are tables of ten available. It's a 2.30pm kick-off on Saturday 10th October, and you're welcome at the club from 1.30pm. See Facebook for more information or contact Colin, our bar steward, on 01292 441944 after 4pm.